Cynthia Shepard Perry, a Republican and 25 year career diplomat, has served three Republican presidents. President Ronald Reagan appointed her as Chief of Education and Human Resources of the U.S. Agency for International Development where she served from 1982 to 1986, and named her Ambassador to Sierra Leone from 1986 to 1989. President H.W. Bush appointed her ambassador to Burundi where she served from 1989 to 1993. President George W. Bush appointed her as U.S. Executive Director of the African Development Bank in Abidjan, Cote d’Ivoire, and Tunis, Tunisia in 2001. As director, she promoted microlending projects for small start-up loans, especially for women. In addition, she analyzed African loan requests for schools, bridges, and projects to reduce poverty. Her foreign service also included Director of Teacher/Peace Corps for Crossroads-Africa (1971-73); a member of diplomatic delegations to Sierra Leone, Ghana, Nigeria, and Liberia (1974); UN Economic Commission in Addis Ababa, Ethiopia (1976); and Consultant to U.S. Information Services in Kenya, Nigeria, and Zambia (1973-1976). Born on Nov. 11, 1928, in Lost Creek near Terre Haute, Indiana, she was one of nine children. Her parents were farmers who also taught her piano and painting. In 1946, she graduated from segregated Otter Creek High School where she loved writing and was often the winner of writing contests. Her interests in geography and global topics were fueled by her father’s service in France in World War I and her brothers’ assignments in World War II. In her 1998 memoir, All Things Being Equal: One Woman’s Journey, she states that “at age 16 she planned to be an ambassador.” With the help of family and the high school principal, she developed a 25-year plan. Her journey began with political science and foreign language degrees from Indiana State in 1968 and a Doctorate of Education from the University of Massachusetts in 1976. During her doctoral program, she recruited volunteers for work in Africa. 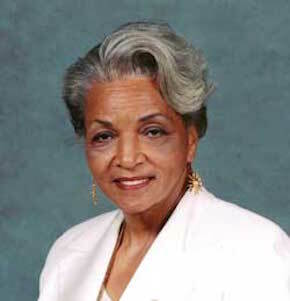 She worked in several positions during undergraduate and graduate school including serving with the National Association for the Advancement of Colored People (NAACP) and as Director of National Teacher Corps. She was an assistant professor at the University of Massachusetts in 1966 and associate professor at Texas Southern University (1978-1982). Later she was manager of the International Business Machine (IBM) Teacher/Peace Corps. While her husband, James Perry, worked for UNESCO in Kenya, she trained Peace Corps volunteers. She continues to serve as an Honorary Council General of Rwanda, Chairman of the Board of Houston’s International Festival for South African Cultures, Regent of Texas Woman’s University, and a consultant with FCA Corp, an outreach company for American financial management and business investments in Africa. Council of American Ambassadors, http://www.americanambassadors.org/; “George Bush, Nomination of Cynthia Shepard to be United States Ambassador to Brunei,” Nov. 7, 1980, The American Presidency Project, http://www.presidency.ucsb.edu/; Charles Stuart Kennedy, “Ambassador Cynthia Perry,” Association for Diplomatic Studies and Training, Foreign Affairs Oral History Project, March 21, 1999; Cynthia Shepard, All things Being Equal: A Woman’s Journey (New York: Stonecrest International, 1998).